Deflates and inflates high volume, low pressure endotracheal or tracheal cuffs. 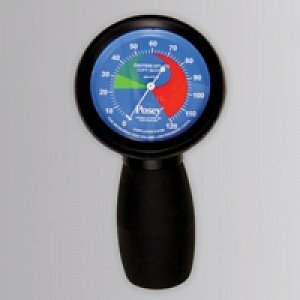 An easier alternative to other methods that are required to check cuff pressure. Air vent button and inflator bulb adjusts cuff pressure quickly and easily. Gauge shows recommended pressure range in cm H2O.